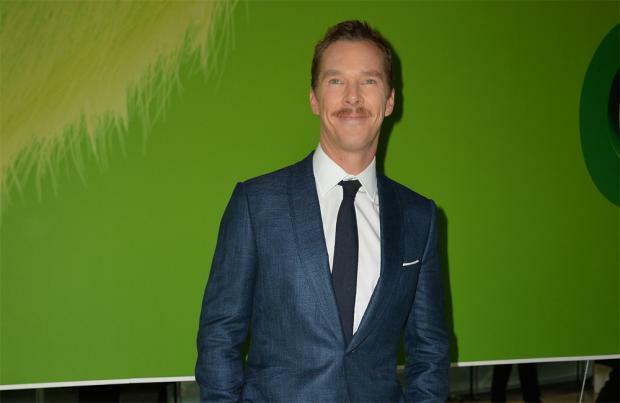 Benedict Cumberbatch says recording 'The Grinch' was "weird and wonderful". The 42-year-old actor voices the Christmas hating titular character in the upcoming animated movie – based on the 1957 Dr. Seuss book 'How the Grinch Stole Christmas!' – and admitted it was an unusual experience. He told The Hollywood Reporter: "It was weird. It was wonderful. It was everything that being a voice artist is on a long-haul project like this. It was a lot of fun. Hard work but fun." 11-year-old actress Cameron Seely voices the character of Cindy Lou Who and although she and Benedict's character have most of their scenes together, he admitted they never actually met during recording. Benedict said: "It's an odd thing to not be in the room as her, but that's not a novelty for anyone who's ever done one of these [animated films] before. It's bizarre to meet Cameron for the first time during promotion for the movie." This is the third adaptation of Dr. Seuss' 1957 book and co-directors Yarrow Cheney and Scott Mosier were drawn to its theme of redemption. Cheney said: "The story is about this character who is broken. His heart is broken, his life is a little bit broken. And we go on this journey where he is healed and he is able to connect with people again. And I think that's the kind of story that is good for any time, especially nowadays -- the transformative power of forgiveness and kindness." Meanwhile, although it is a festive film, Benedict is certain his own children – Christopher, three, and one-year-old Hal, who he has with wife Sophie Hunter – will watch the film repeatedly not matter what time of year it is. Referring to his kids watching it over and over again, he recently said: "It only dawned on me yesterday when people said, 'You do know it's a Christmas movie'. [I thought] 'Oh yeah, this will have a life beyond this Christmas.' "